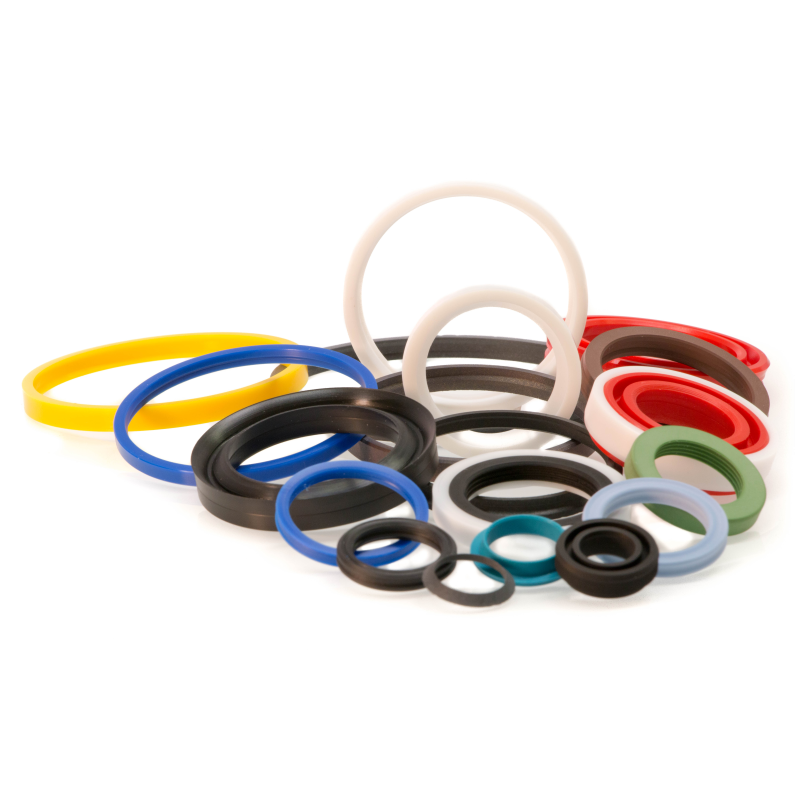 Express seals production • Machining of rubber and plastics parts | Invarex s.r.o. 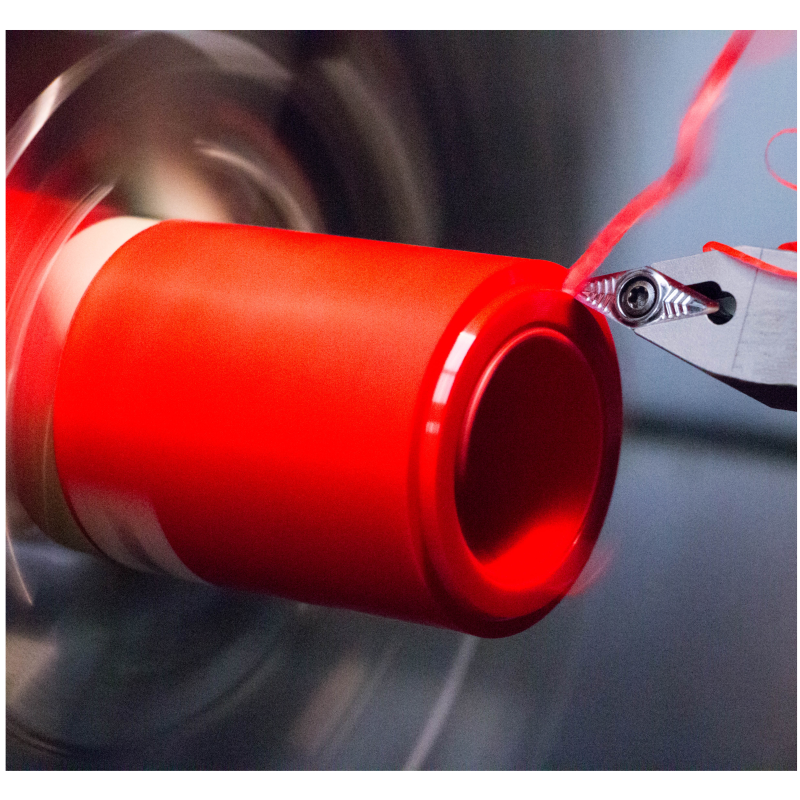 Currently, we have free production capacities for CNC turning of plastics, polyurethanes, PTFE and rubber. 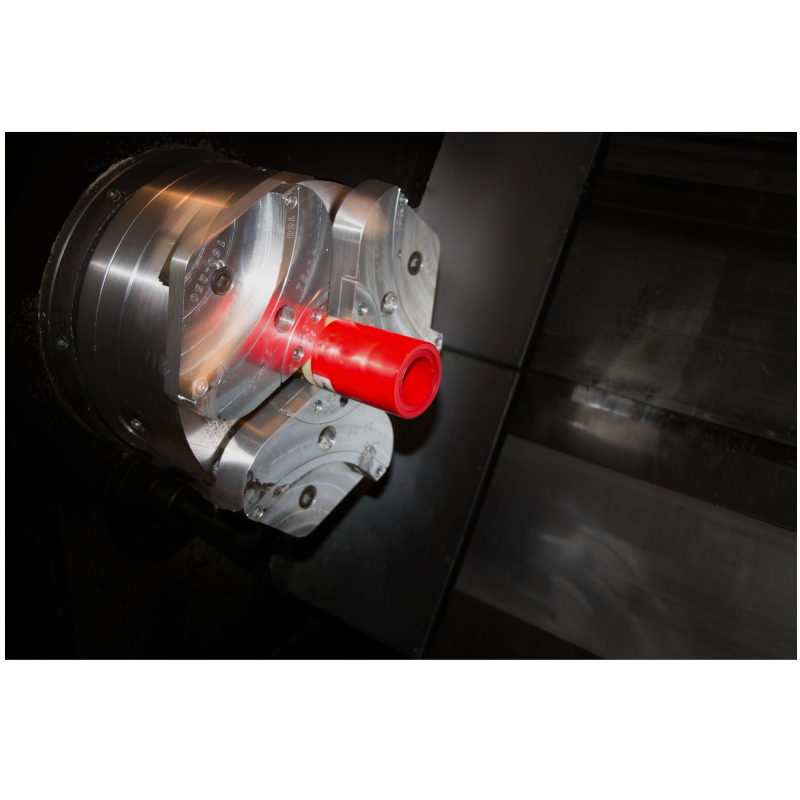 Maximum turning diameter 250 mm. Invarex s.r.o. 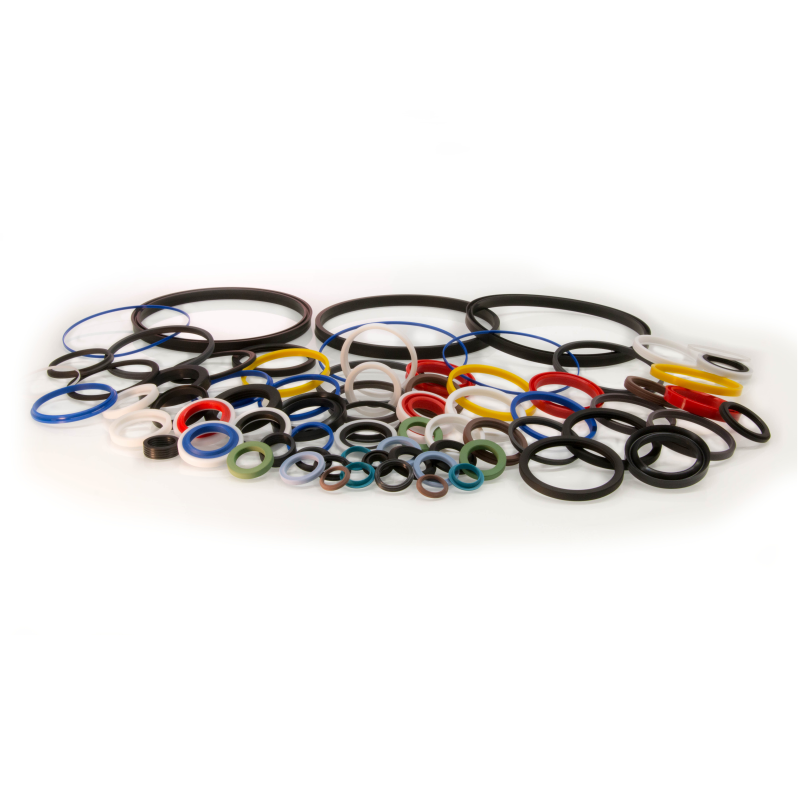 company has been engaged in the production of hydraulic and pneumatic seals for a wide spectrum of industrial applications since the foundation of the company. 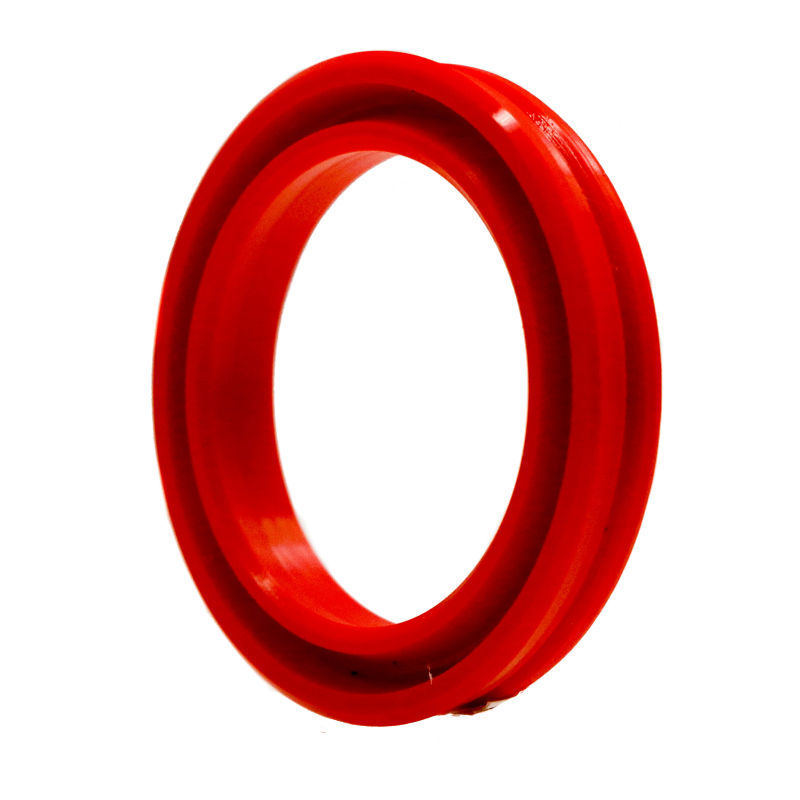 We are able to produce seals with an outer diameter up to 250 mm in most cases within 24 hours after placing an order. 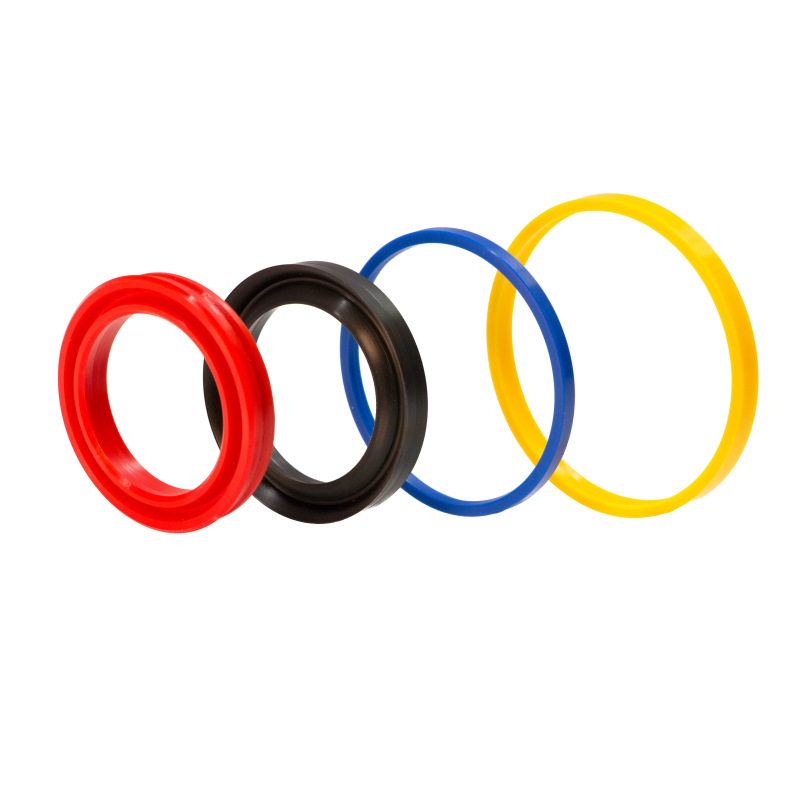 We also help our customers to select the most suitable sealing elements from the assortment of standard seals in cases when the seal with standard dimensions is for a given application sufficient. 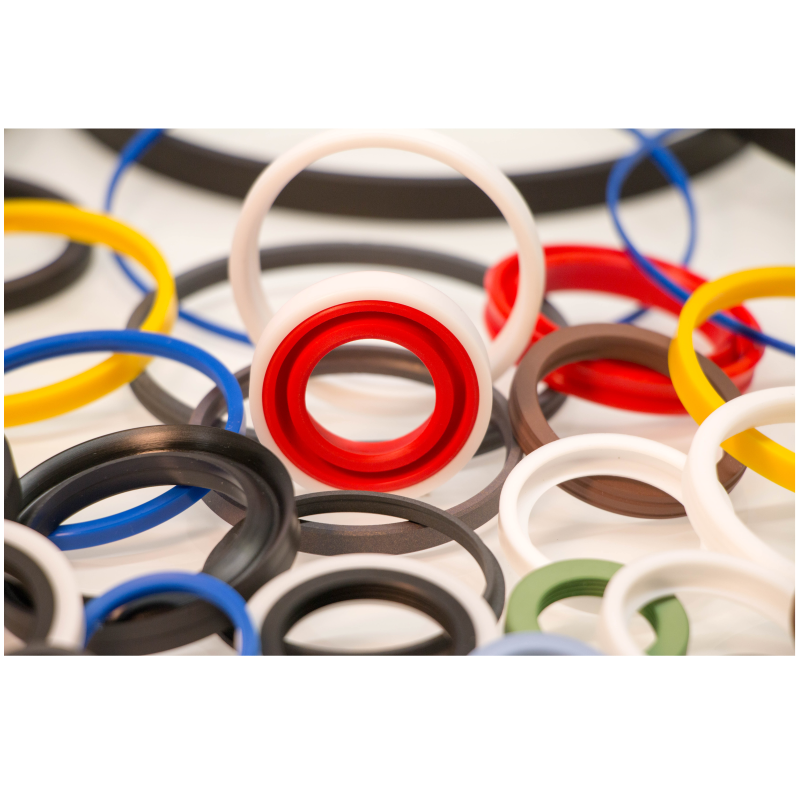 Below you can find a basic summary of the sealing profiles we can produce, an overview of the raw materials we use for the production of seals and a few pictures from our production. Your questions, requests, or comments can be directed to any contact you could find below. 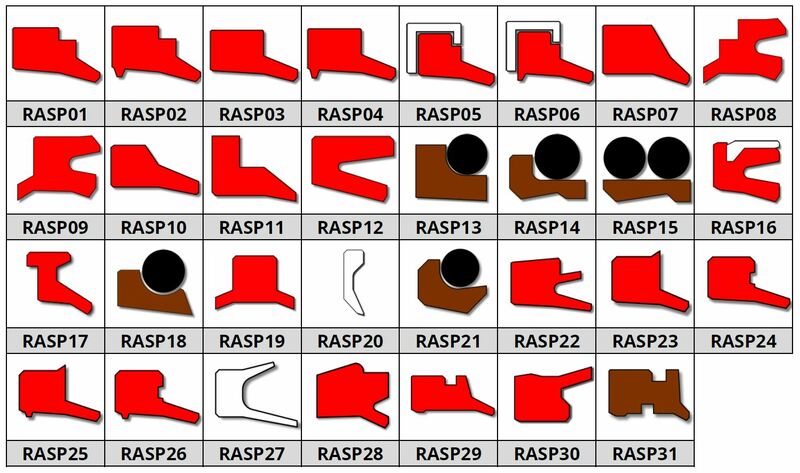 We do not only use our technical equipment for the production of turned seals, but we are also engaged in custom CNC turning of plastic or rubber parts based on the customers drawing or we are able to design our own designs including all necessary drawings. 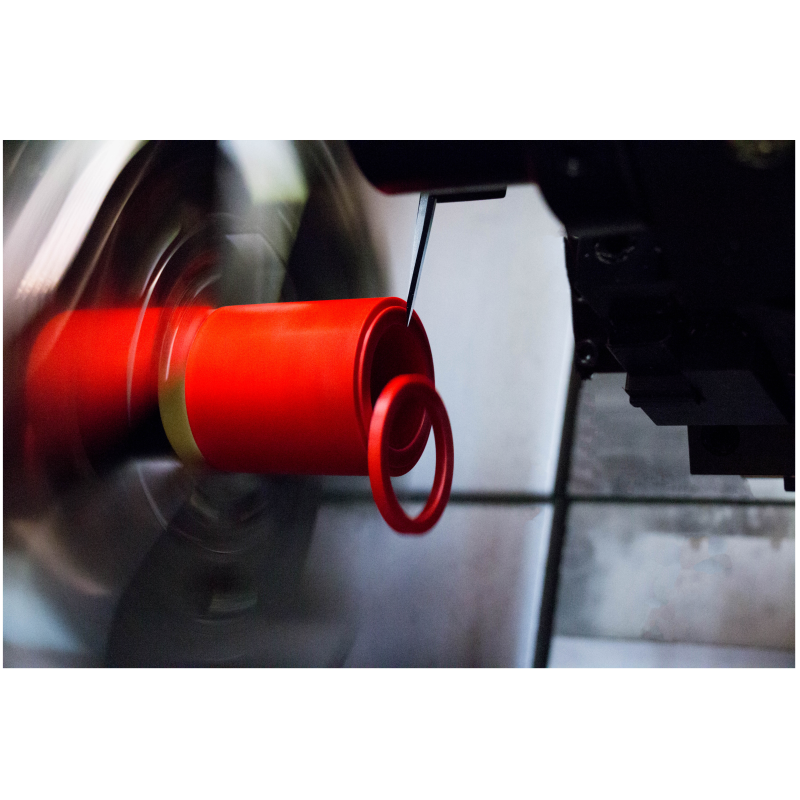 CNC turning of plastics accounts for approximately 20% of our business. 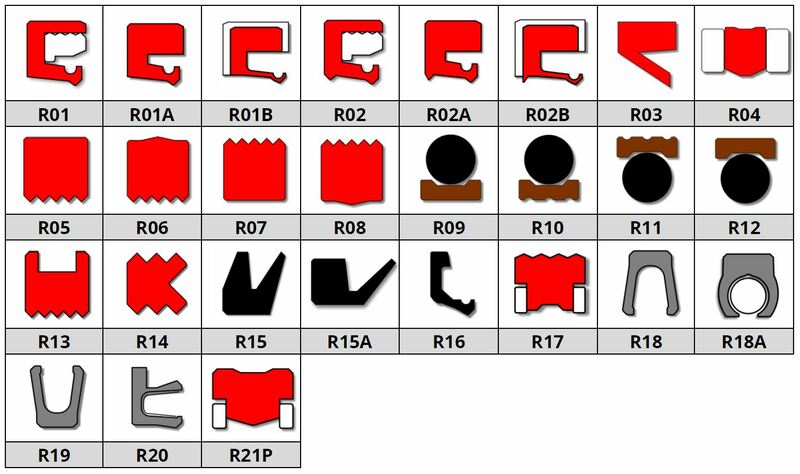 Below is an overview of standard sealing profiles from our production. 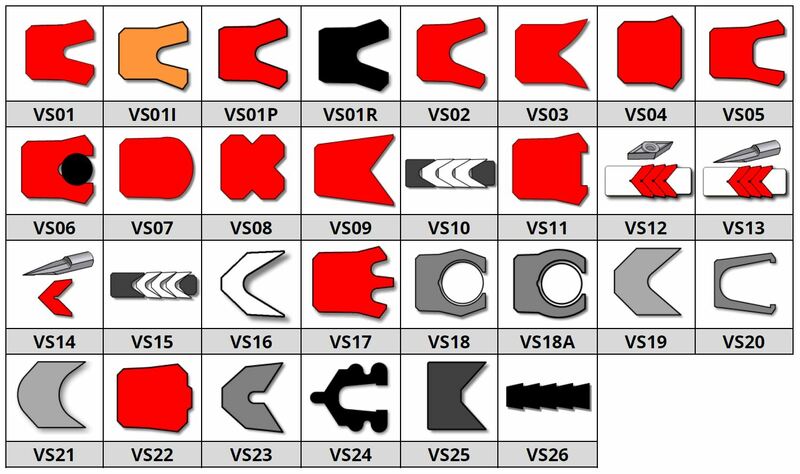 In the case of an atypical installation, dimensions or on the customer's request, the individual sealing profiles can be designed and seal dimensions are designed so to meet the requirements of the application. 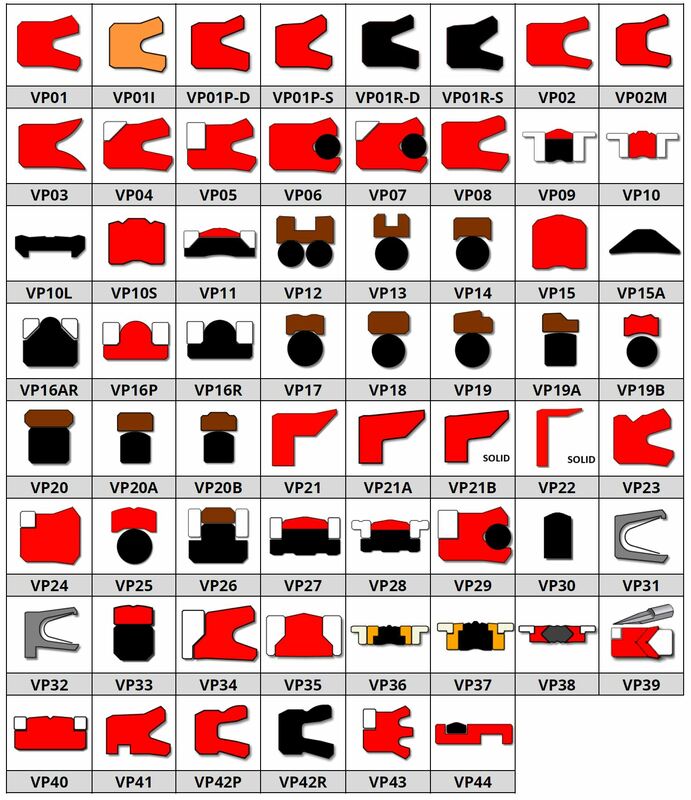 Click the image to see the complete overview of all profiles for given category of seals. 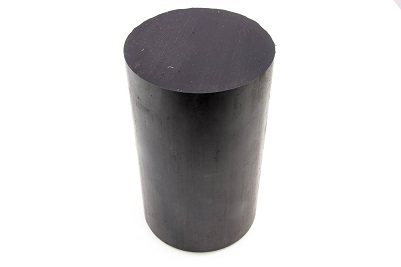 A seal to seal the space between the piston and the cylinder wall. Piston moves inside of the cylinder. 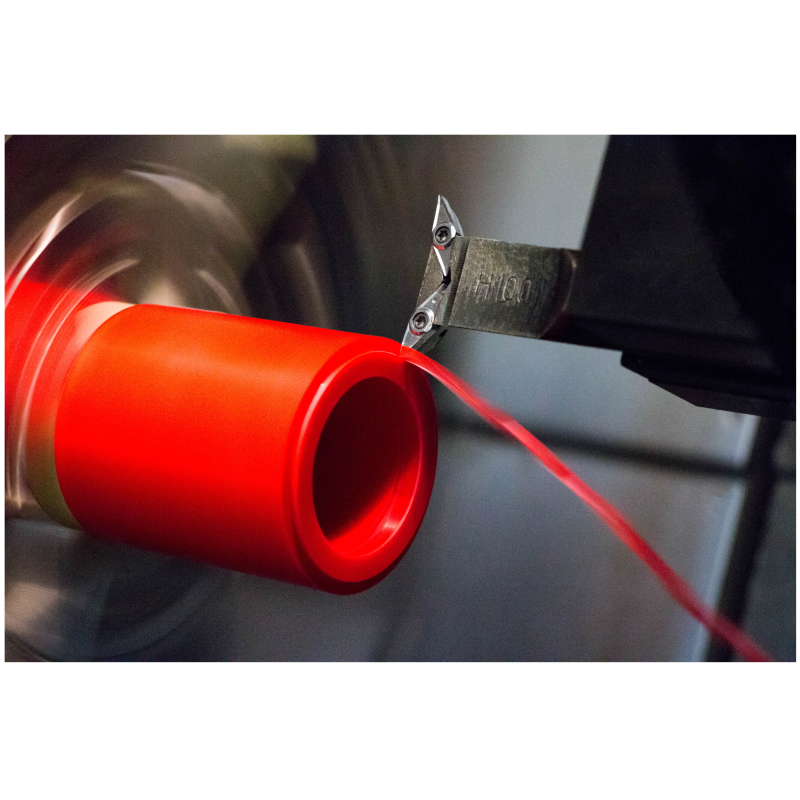 It seals the space between the cylinder body and the piston rod that performs a translational movement within the cylinder. It serves to seal the space when components rotate relative to each other and the translational motion is avoided. 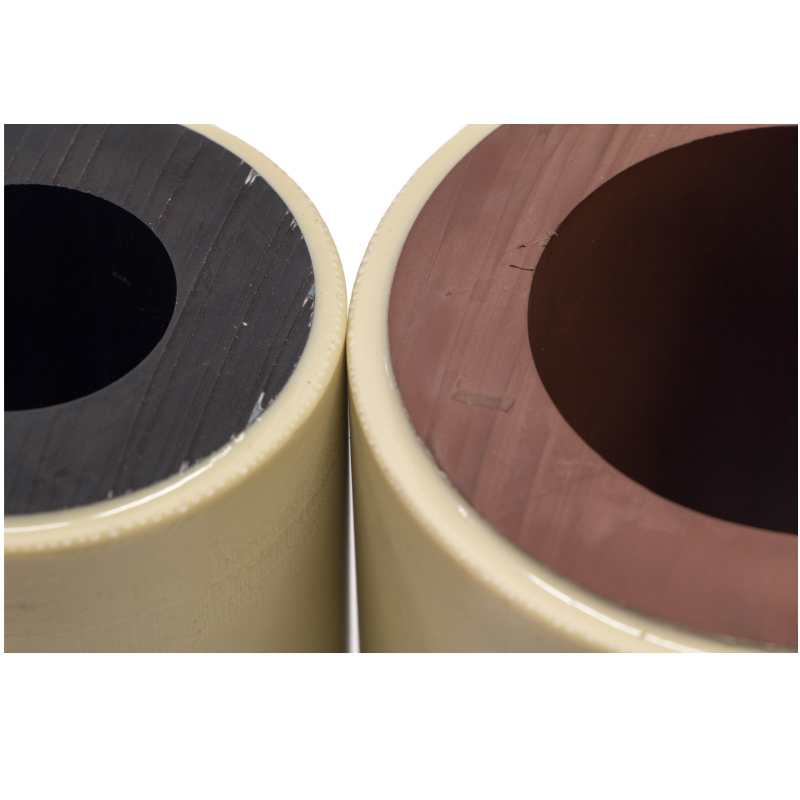 They prevent the dirt from entering the sealed space and maintain an optimal layer of the lubricant on the sealing surface. They seal the space where the sealed surfaces do not move. 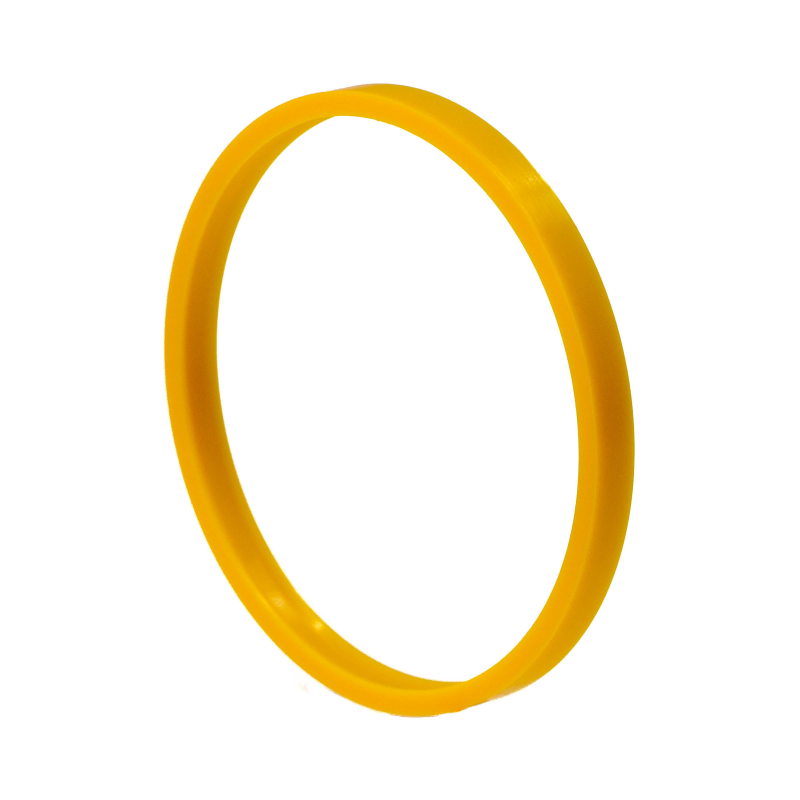 These are, for example, O-rings. 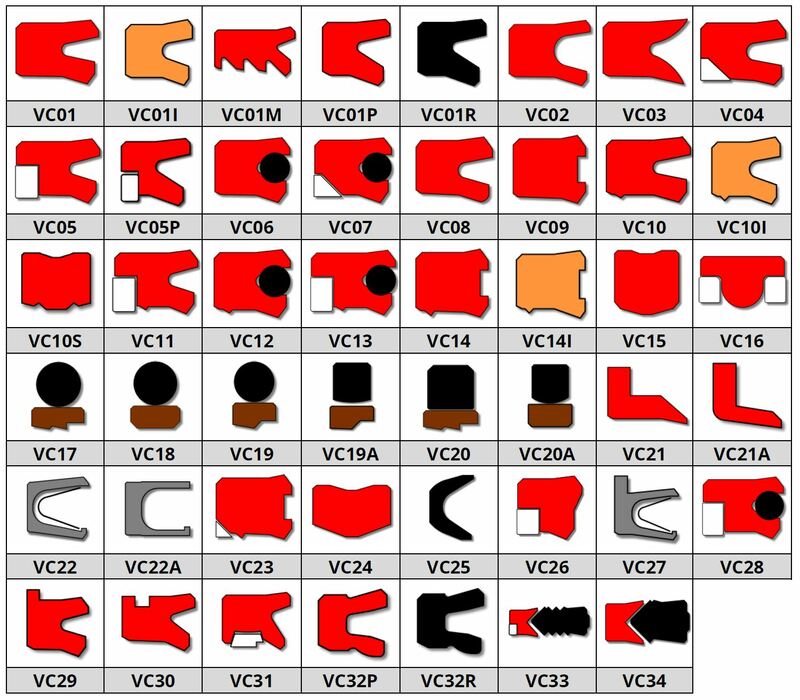 Seals whose cross-section is symmetrical in comparison with piston or rod seals. 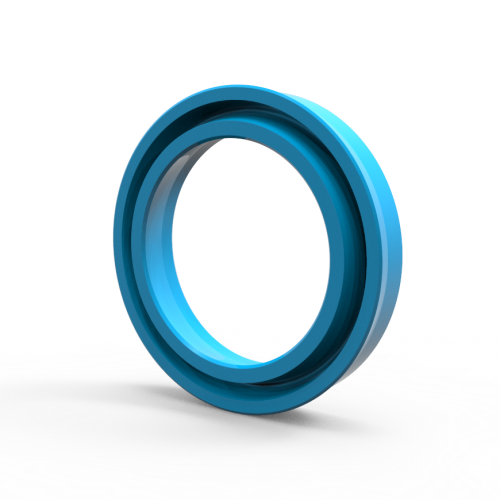 Guide rings prevent contact of metal parts which move inside each other. 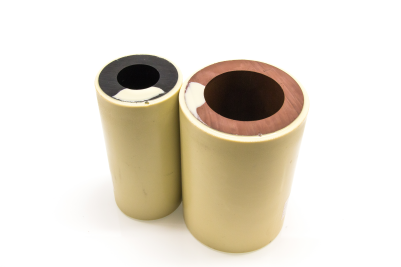 They prevent the movement in the radial direction. 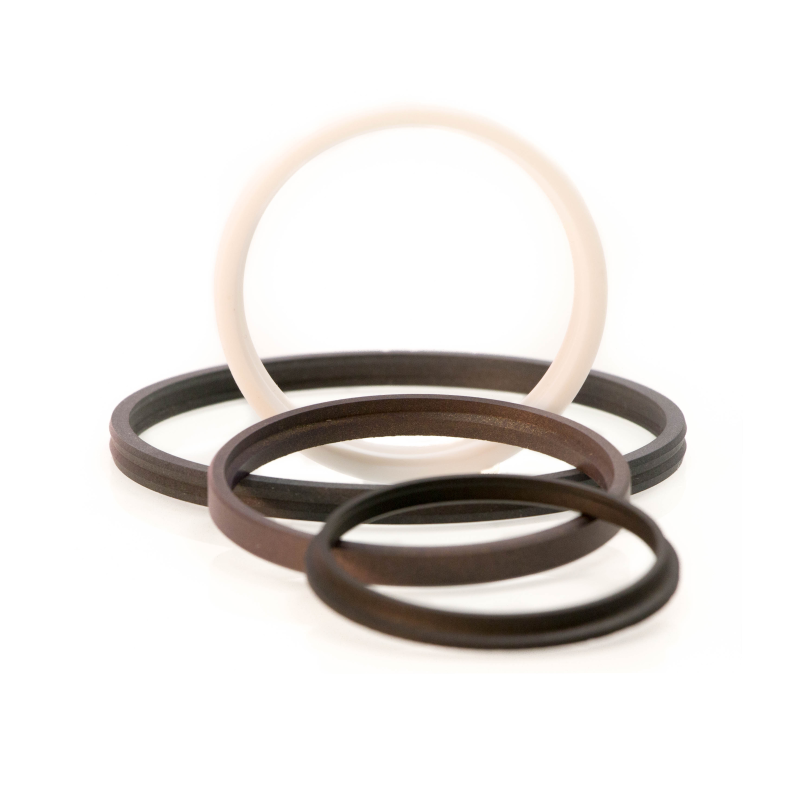 Back-up rings prevent deformation of the seal, for example at pressure peaks. 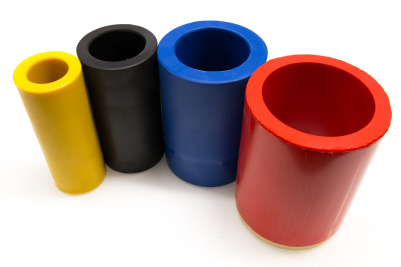 A special kind of seals used in mining industry with very demanding operating conditions. 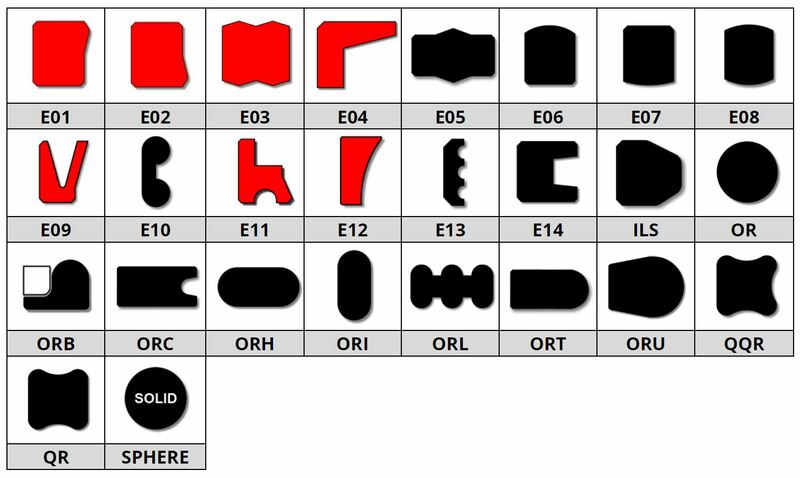 A set of seals that can not be assigned to any common category. 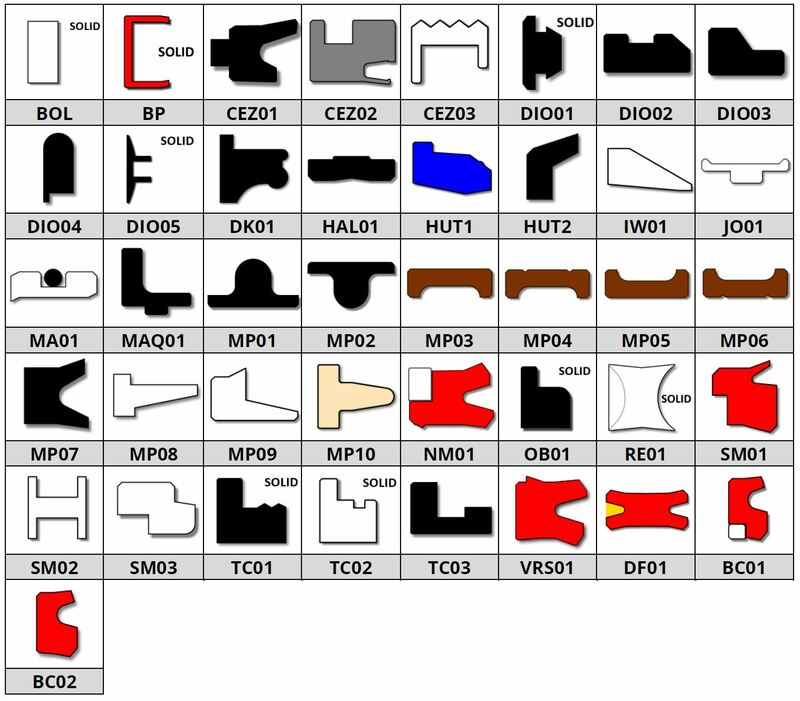 Profiles often designed based on customer specific requirements. 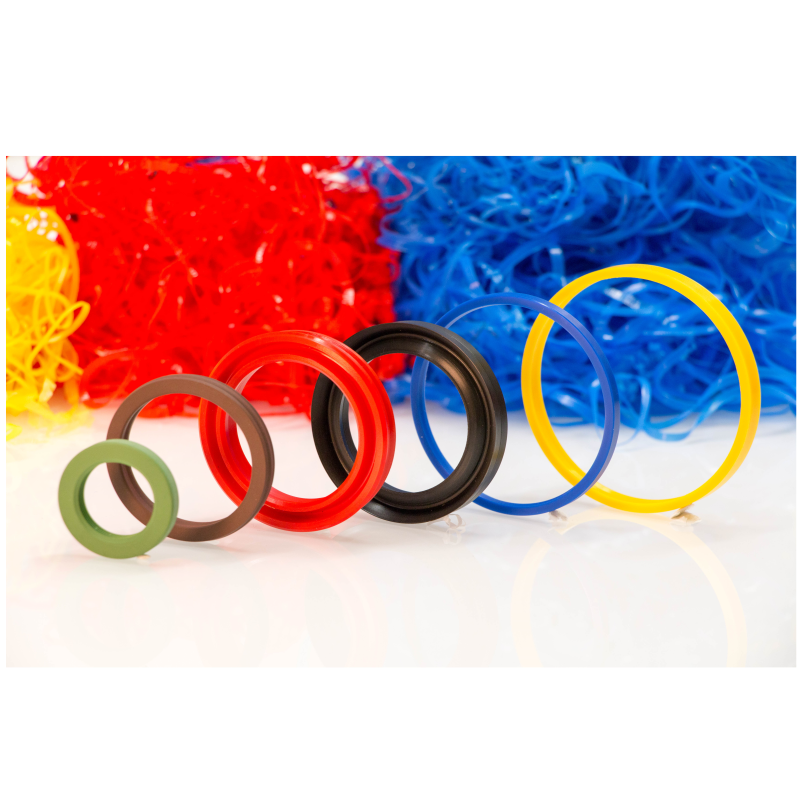 Our raw materials for the production of sealing elements come mainly from leading Austrian manufacturers DMH GmbH and Seal Maker GmbH. 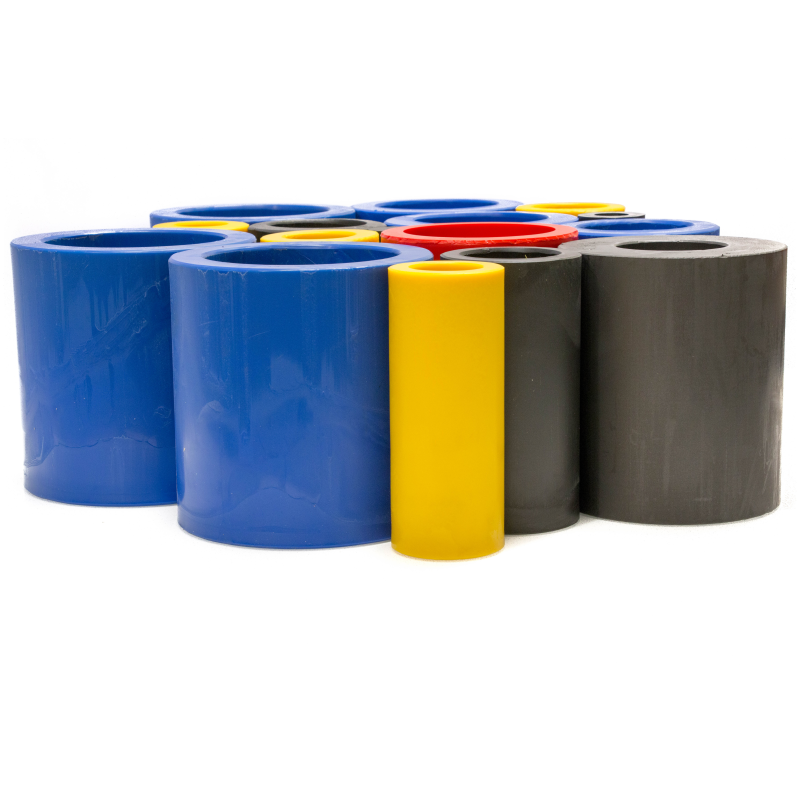 Some of the technical plastics are from Czech suppliers. 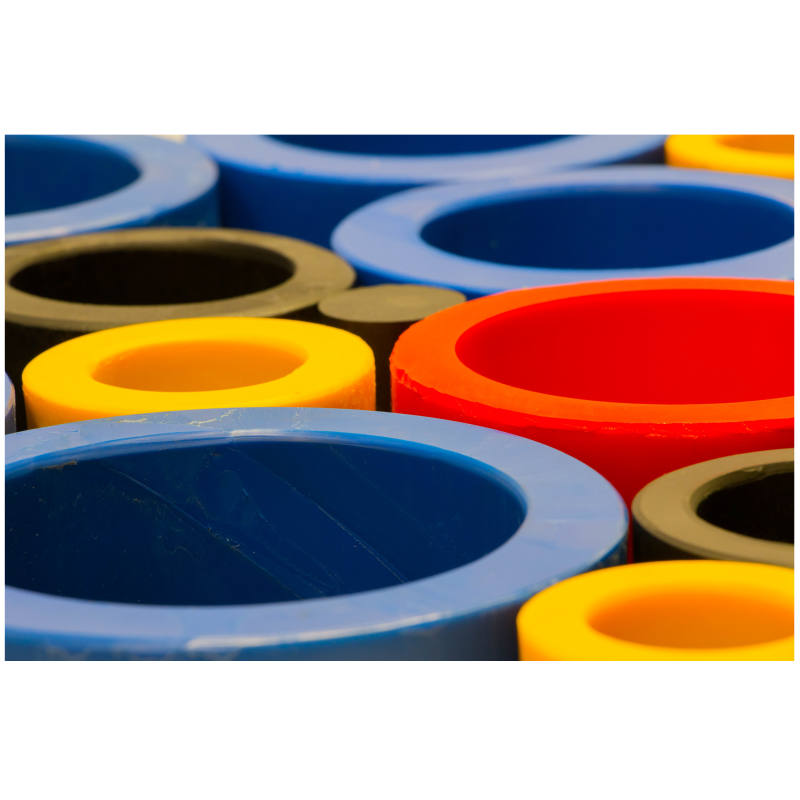 For all materials, we will deliver material data sheets upon request. 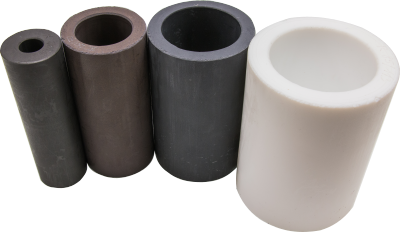 The production consists mainly of turned seals, but we are also engaged in custom machining of parts from technical plastics in small and medium series. 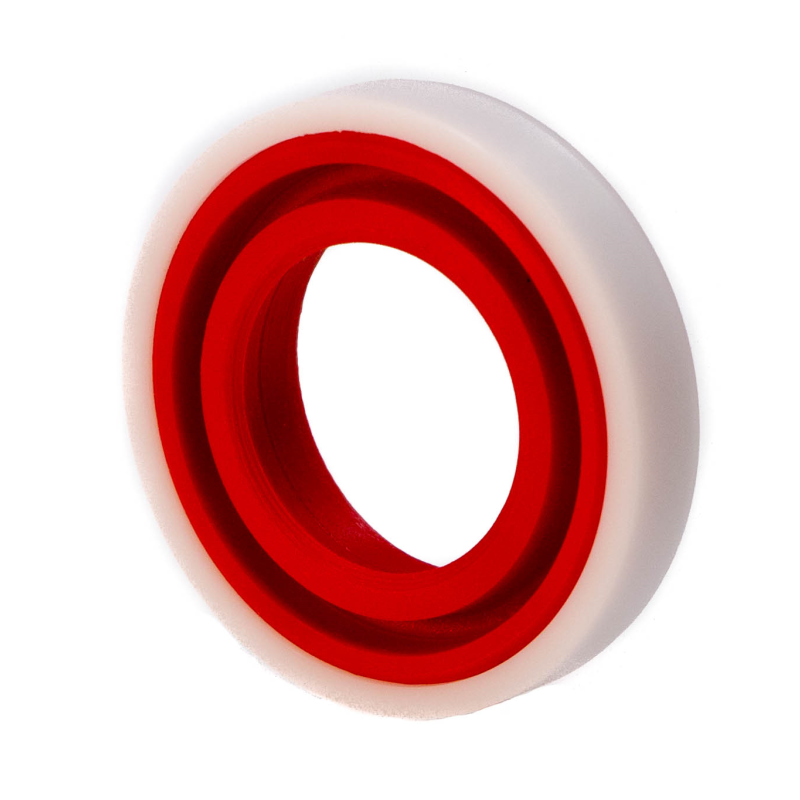 Based on your inquiry, we will send you our offer within 24 hours or we will contact you to add or refine the information provided for the design, pricing and subsequent production of seals.